The state of South Australia is moving to ban the sale of videogames rated MA15+ to anyone under the age of 18. South Australia may no longer be the stomping grounds of notorious game-hating Attorney General Michael Atkinson but it's still proving to be a thorn in the side of anyone who'd like to see a rational, functional videogame rating system in the nation of Australia. 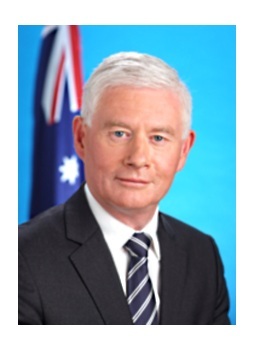 After years of refusing to compromise on the issue, former AG Atkinson stepped aside in early 2010 and was replaced by John Rau, heralded at the time as a "supporter" of R18+ videogame ratings. But his position on the matter since then has proven to be a little less black-and-white. Last summer, as an R18+ rating for games began to look increasingly inevitable, Rau declared that South Australia would take things further by dumping the MA15+ rating and moving all such games to the higher category, thereby making them harder for "children" to get their hands on. But the idea of establishing a de facto independent rating system for the state is "bizarre," as Opposition Justice Spokesman Stephen Wade put it, putting South Australian retailers at a disadvantage and possibly even threatening to throw the whole process into disarray. Since eliminating the MA15+ rating is more problematic than he expected, Rau has decided on a "more practical measure" that will accomplish effectively the same thing. Under new "complementary legislation," both MA15+ and R18+ games will be legally unavailable to anyone under the age of 18 in South Australia. "My long-stated position has been to protect children by creating a clearer distinction between games that may be suitable for children and those that are suitable only for adults," Rau told Gamespot.au. "Therefore, my intention is that the South Australian legislation will prevent the sale of MA15+ games to minors. This move will give parents greater certainty about the appropriateness of games for their children." A rep said that details about how the new law will work will be revealed "in due course." Rau wants the proposed legislation introduced to Parliament in May, although it must first be approved by cabinet.